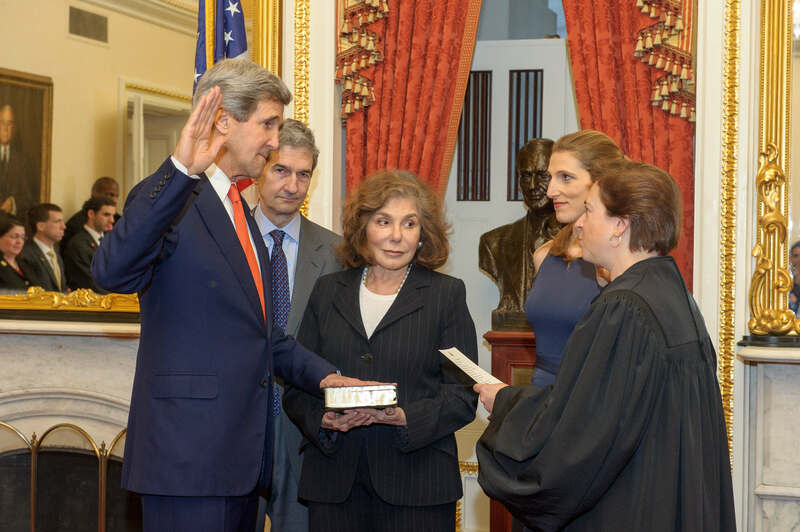 WASHINGTON John Kerry has been sworn in as America's secretary of state, replacing Hillary Rodham Clinton. The former Massachusetts senator and 2004 presidential candidate was sworn in Friday by Supreme Court Justice Elena Kagan. He is the 68th secretary of state. Kerry was confirmed for the post on Tuesday by the Senate in a 94-3 vote. The swearing-in ceremony took place on the same day that Hillary Clinton made her final remarks as secretary of state to employees at the State Department.